There are instances when we use disposable spoons and other tableware especially if we are hosting a huge party or maybe having a picnic with friends. Disposables from how they are called could be thrown away after use but what if you have beautiful disposables, would you still throw them away? 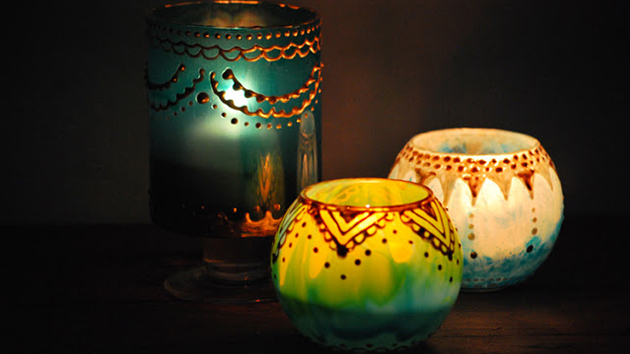 Well, if you have these set that we are going to show you today, you would definitely change your mind! 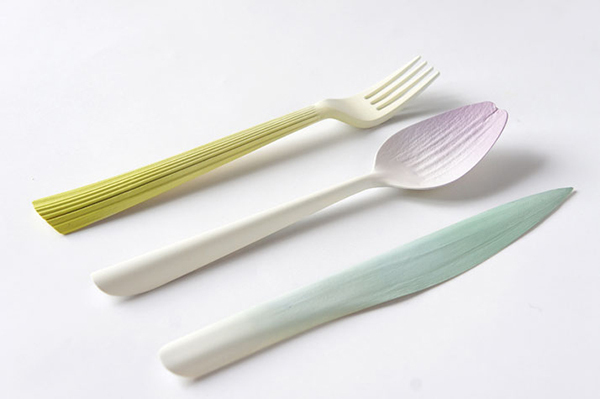 Once you get these tableware called Graft designed by Qiyun Deng, you will surely keep them instead of throw them after use. The tableware gives you the feeling of like picking some objects fresh from your garden! 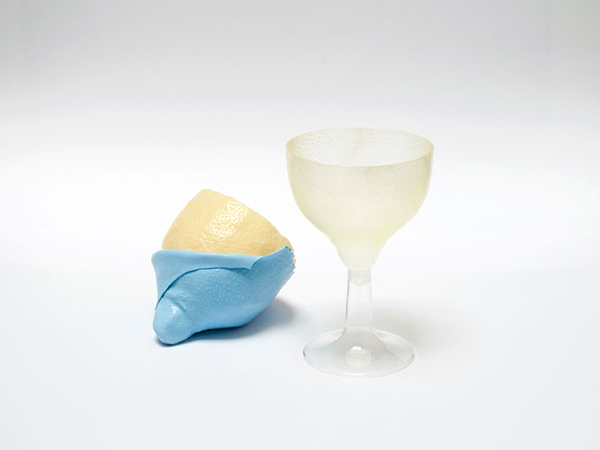 The tableware is a graduation project for Deng’s Masters in Product Design last 2013. 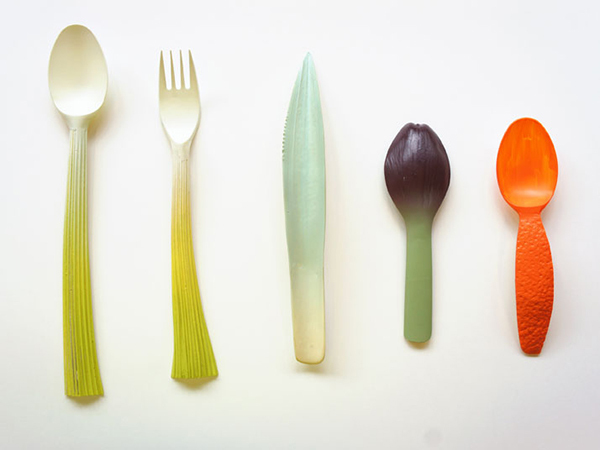 The set includes forks, knives, spoons and serving bowls that are grafted out from vegetables and fruits. Can you see familiar textures from these utensils? I’m sure you could! 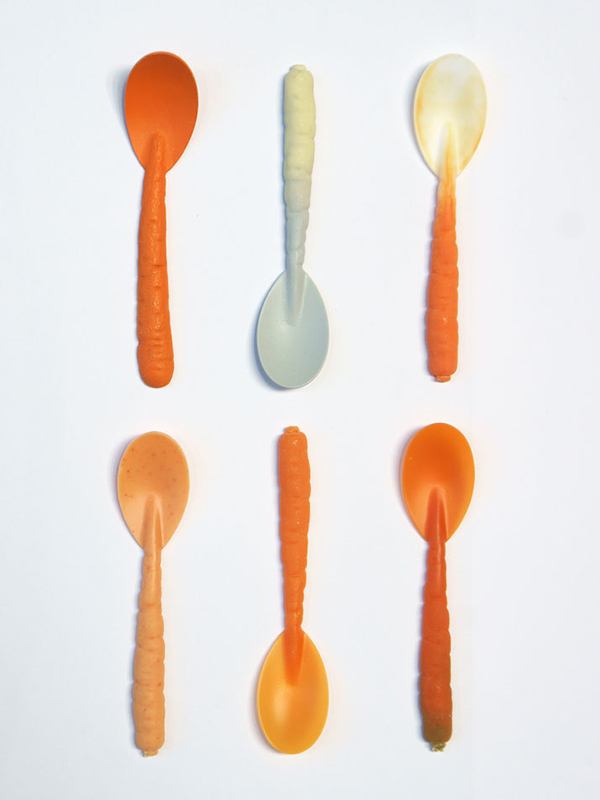 These spoons looks like carrots and radish. But you can’t munch on it. Isn’t it interesting to be able to grasp these utensils on your hands? The color of the vegetables were perfectly copied for the tableware. 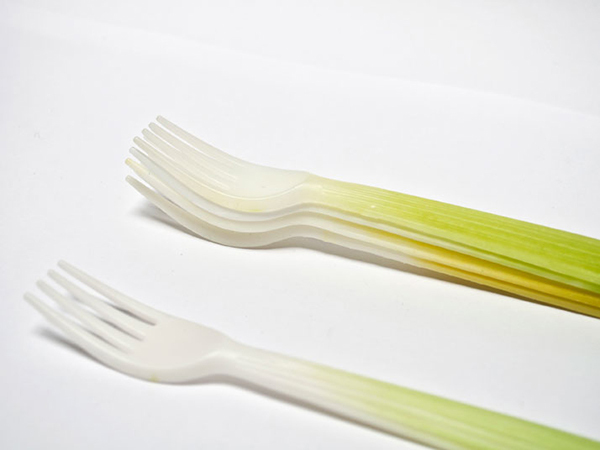 These forks are like celery. And yes, you will feel like using celery to eat celery. Lol. The tableware has that humorous yet creative look that we haven’t seen in other tableware. 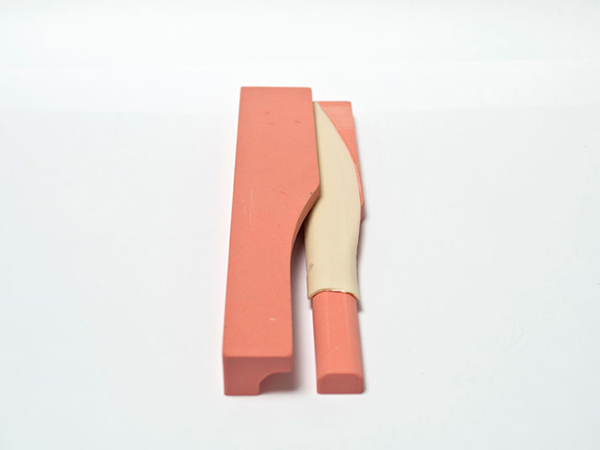 See here is a grafting process used by the designer to create the items. A goblet took the form of a lemon and the color was copied too only that it is transparent. This one is a grafting process copying the texture of a fruit. And the result is this lovely bowl! Interesting, right? 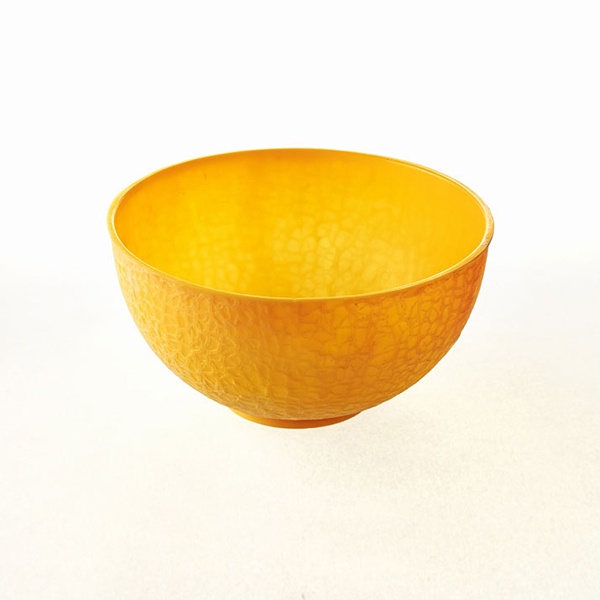 Who would think that the texture of your favorite vegetable and fruits can be copied for a tableware. Imagine a party using these disposables! These can even be your party give away at the same time. For sure, guests would love to have something from the Graft collection of Qiyun Deng. 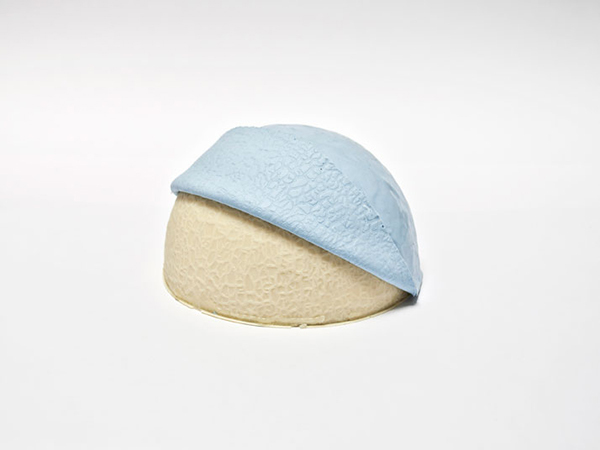 These are made from biodegradable PLA bioplastic and are still in the development phase. It would be available in the market soon! Would you get one?